Over any length of period that we stay in one property, collecting piles of old belongings that we no longer need is inevitable. Whether you’ve found yourself with boxes full of old clothes or a room full of old furniture– we can take care of it for you. Here at Go Rubbish Go. 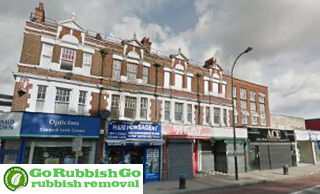 our rubbish removal services in the SE6 district provide you with high standards of Catford rubbish clearance, without the difficulty of needing a skip permit. The SE6 waste clearance services that we provide ensure that whether you’re in need of commercial clearance, garage clearance or another other kind of waste disposal service we have you covered. Whatever it is you need, with us, you are always left with nothing but a clear, empty space. We understand that not everybody is capable to move heavy items of furniture and that loading boxes of waste into a van is hard work. We train our professional members of staff to the highest standard possible, so that you can sit back whilst they do it all for you. So whether you’re looking for waste disposal in Catford, SE26 or you need some help clearing out old junk from your office, call us today on 020 8610 9182 for a free quote and book our Catford waste collection services! 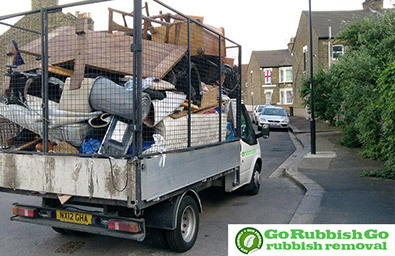 Our Rubbish Removal Catford Team In Are Fully Trained To Dispose Of All Forms Of Waste – Let Us Do It For You! Our rubbish disposal SE6 professionals work hard to provide you with a service that will not be beaten elsewhere in Catford. For an exceptionally low price, we work hard to ensure that each and every one of your junk removal needs is met. As a team of highly skilled rubbish removal professionals in the SE6 region, we are able to provide every possible aspect of a waste removal service you may ever need – as well as providing transport to carry your items of waste. Our company is considerate of your surroundings, and so we work in an eco-friendly manner in everything we do. We dispose of your waste using environmentally methods, keeping in mind all rubbish disposal regulations and aiming for the re-use of your wasted items wherever possible. Needed a reliable Catford rubbish clearance company to help me out with a heap of waste I had collected in my garage. This company was my first choice, as a neighbour had used their services in SE6 and was very satisfied. Glad I decided to hire them; they worked fast and gave me great results! Need Help With Waste Disposal in SE6, Catford? Look No Further! Hiring Go Rubbish Go. to clear your property of unwanted waste will allow you to save yourself a lot of time, and a considerable amount of effort. We work on a tight schedule, meaning that you won’t be waiting around for us to arrive or to get the job done – we work as quickly and efficiently as possible. 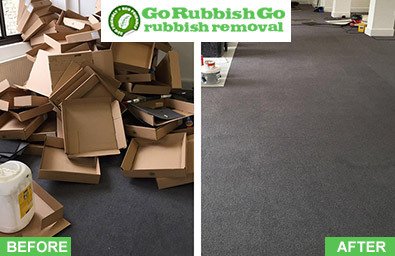 Not only will your time be saved by hiring our rubbish removal Catford services, but we’ll save you money too! Our prices are incredibly competitive and by hiring us, you’ll save yourself a lot of money that may otherwise have been wasted on a skip and skip permit. So whether it’s a loft clearance you need help with, or even builders waste clearance following property enhancements – call us and book today! Call 020 8610 9182 now and get your free no obligations quote! We all know the drill, you call a waste clearance service, they tell you the services they provide, and you pick the one that comes closest to matching your needs. That’s how they all work right? Wrong! We are different to the rest, because we design our services around you! When you call us, we won’t list our services, we will listen to your needs. One of the experts in our office will take the time to hear exactly what you need, we will then tailor our services around your individual needs to ensure that you are getting a waste removal Catford, SE6 service that matches your needs in every single way. You won’t get that promise anywhere else, so call us today! Catford can be found in South East London, in the borough of Lewisham. It is said to be named after the wild cats that are believed to have roamed the area in ancient times. As an area largely populated with young families, Catford is full of great primary schools and playgrounds. As well as this, the district also hosts a market that is open four days of the week, of which is held inside of a theatre by the local shopping centre. The theatre also hosts music and Broadway shows to keep locals and visitors entertained throughout the year. Famous places include Catford Island, Conisborough College and Milford Towers.